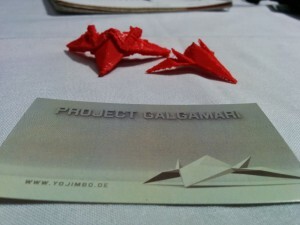 Project Galgamari: The iFest build! Today was a good day for Project Galgamari! Lucas and I presented our little prototype as the Galactic Magpie Conglomerate (jokingly shortened to GaMaCo by one). 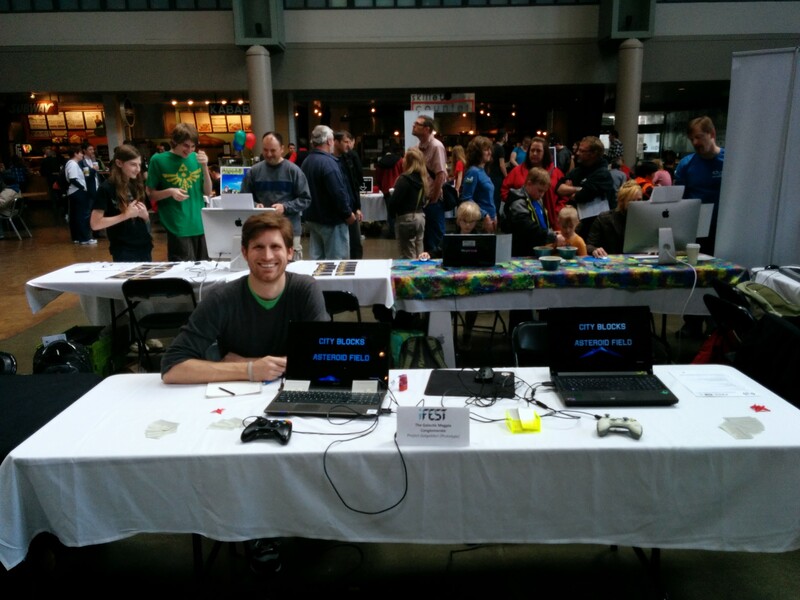 There was never a dull moment as people kept coming by our table, playing our game and wanting to know more. We even got to implement a few feature requests and bugfixes on the spot. To both of our amazement many people really seemed to like Project Galgamari, some of them really getting into it. Many thanks to the organizers for the great event, all the people coming by our booth, giving our game a try and giving excellent feedback! And of course a thousand thanks to my fellow Galactic Magpie, without whom this would not have been half as successful and fun. Have fun playing the prototype! We’ll let you know whenever we have new updates to share!